Below are our club’s officers for the 2018–2019 academic year. We encourage any of you who would like to help shape the vision and direction of the club to consider participating in some capacity. Reach out to us with any comments, join our officer meetings, or shoot us an email. 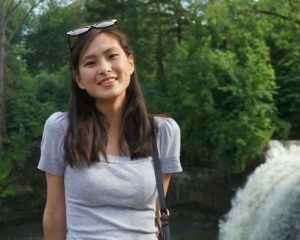 .Christina is a senior Accounting major with a Gender Studies minor studying at Notre Dame. Originally from New York, she now lives in BP. Christina took a ballroom class in high school, loved it, and decided to continue dancing in college. When not dancing, she enjoys finding the best places to eat and hanging out with her friends. She hopes to share her love of ballroom and looks forward to a fun year with everyone at the club! Angeline Barthel is a rising senior from Portage, Indiana. She is double majoring in Spanish and Global Studies. 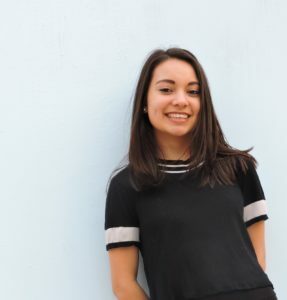 Her entire junior year she spent abroad in Seville, Spain, where she enjoyed traveling around Europe and studying in an intensive Spanish program. While abroad, she also had the amazing opportunity to visit Cairo, Egypt. Her favorite hobbies include reading, listening to music, and practicing yoga. In the past, she was secretary of the club, and now, as vice president, she looks forward to getting back to dancing. 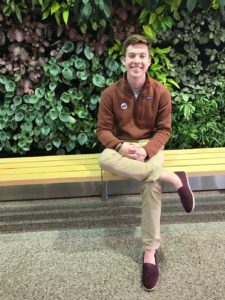 Joe is a junior Political Science major at Notre Dame with a minor in International Development. He comes from the great state of Iowa and currently lives in Dillon Hall. Joe decided that it would be awesome to learn to ballroom dance so he joined the club in the second semester of his freshman year, and has loved it ever since. Besides dance, Joe is a member of the trumpet section in the Band of the Fighting Irish and enjoys playing tennis and watching Disney movies. Joe is excited to serve as secretary this year and encourages everyone on the fence about dancing to give it a try! 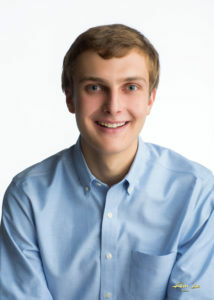 Scott is a rising Sophomore Chemical Engineering major at the University of Notre Dame. Originally from New Mexico, he lives on-campus in Knott Hall. He joined Notre Dame and Saint Mary’s Ballroom Club at the start of his first year with no prior dance experience, and he had a great time. He looks forward to another year of dancing. Outside of dance and academics, Scott enjoys hiking and camping with friends. As hobbies, he listens to music and writes creatively. Scott welcomes all new and returning members to the club! Below are the Notre Dame Ballroom Dance Club’s coaches for the 2018–2019 school year. Feel free to contact them about private lessons and any other questions you may have. Mario Skonieczny was born in Poland. He immigrated to the United States at the age of 16. He has been dancing for 15 years. He is best known for Latin dancing which includes International Latin, American Rhythm, and Salsa club dancing. He currently competes with Mary Jester in professional Latin. Kathy Nate has owned and operated her own dance studio for 45 years. She is trained in American Style and urges her students to partake in learning the technical aspects of dance in order to compete. She gives her students short routines to learn in each dance so that the focus stays on execution. Kathy instills in her students that it’s not the number of patterns that you know but how well you do them is what constitutes a good dancer. She is known as the trend setter in her area for club style dances such as Nite Club 2-Step, West Coast Swing, Shag, and Country 2-Step. Private dance lessons are available for ND competitors at her studio at a discount. Call 574-274-9024 for details. Barb graduated with honors from Arthur Murray Dance Schools and is a professional instructor and choreographer. She teaches and coaches at dance studios, workshops, and independently; and judges at collegiate ballroom competitions. Barb has received countless championship awards and trophies at competitions and exhibitions. She also instructs and supports USA Dance clubs. But what she loves the most is coaching, teaching, and judging competitions for our ND/SMC Ballroom Dance Club which she has been doing since 1998! Barb enjoys meeting new students and sharing her joy and passion for ballroom dancing.